SAL DeTRAGLIA'S VIRTUAL TAPAS BAR: RIGHT-LEANING MARKETING PRACTICES. My hometown, Cabanillas del Campo, is in the midst of constructing a spacious, new City Hall building. I walked past the construction site this morning, and did a double-take. 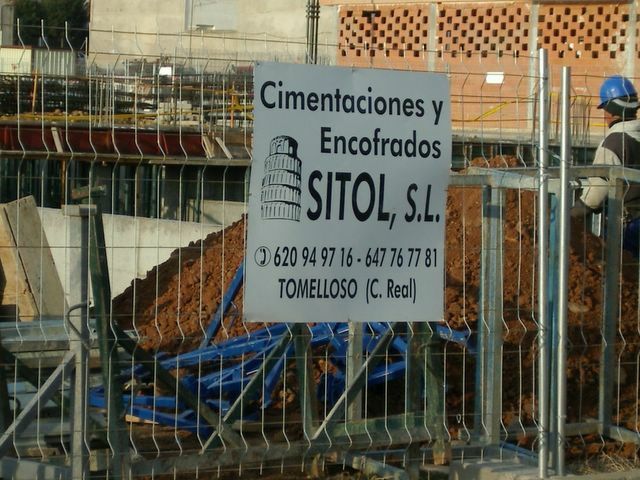 It wasn’t the site itself that grabbed my attention, but rather the sign that Sitol, S.L. (i.e., the building’s cement-work contractor) posted on the security fence. 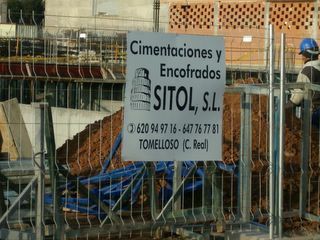 You’ll note from the photo above that Sitol’s sign features a graphic of the Leaning Tower of Pisa. Perhaps I’m being overly sarcastic, but it seems odd that the contractor responsible for pouring the City Hall’s foundation should choose, as its logo, history’s most famous example of negligent building construction.